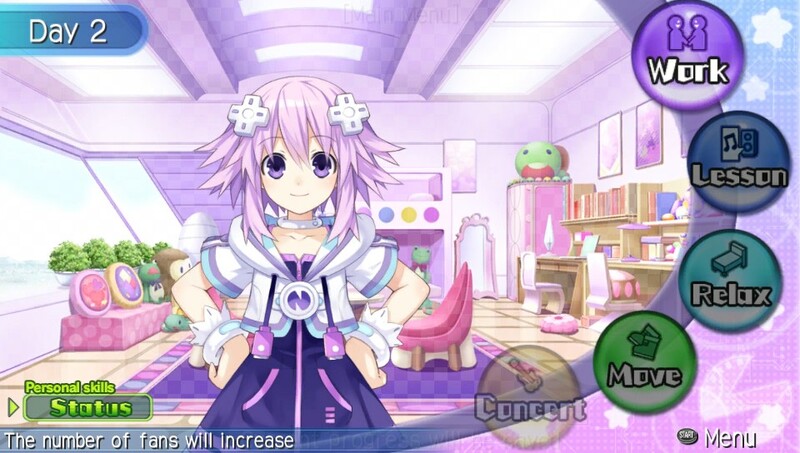 Hyperdimension Neptunia PP – THE REVIEW! | ZQuestion Reviews? ← The Update/Something Different? OSU! for PC! 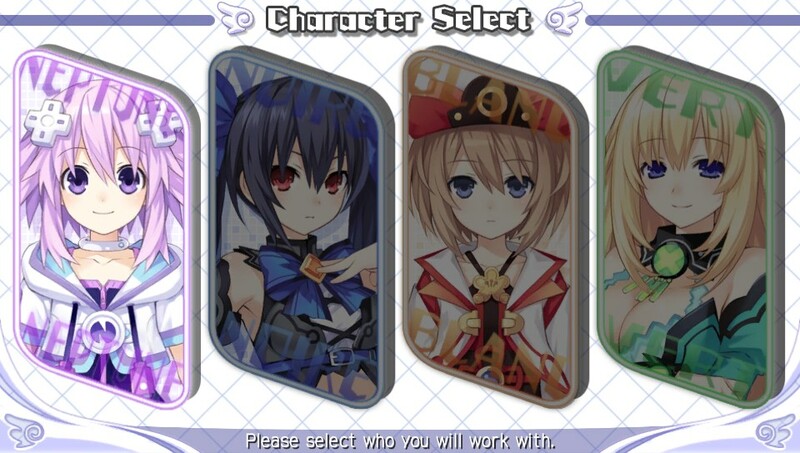 Hyperdimension Neptunia Producing Perfection.. aka Neptune/Neptunia PP for the PlayStation Vita Is the latest release in the world of Neptunia!… Well in English.. Not in Japanese.. They have several games after this one.. but.. It has everything, Action, Ghost, Girls that look underage but they are not because it is a video game but you think it is perverted anyways, People who don’t own pets and a club that plays only five song but everyone is on speed so they never notice. 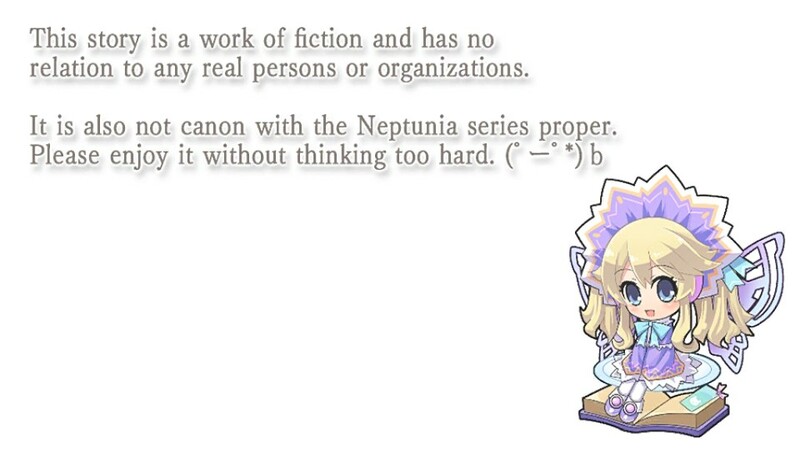 Neptunia PP is a first in many ways, If you have been following the series you should know that Neptunia has been around for a few years. A popular JRPG series that has a bit of a cult following to it. 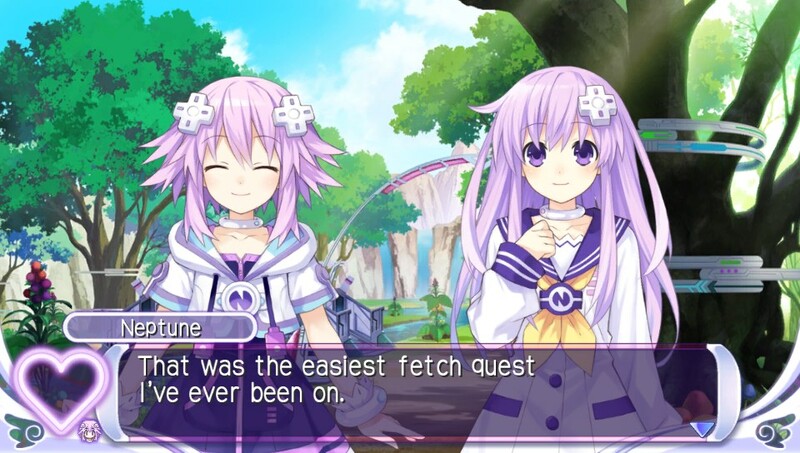 The adventures of Neptune,Noire,Blanc and Vert have been told in several games. The world of videogames in a videogame… Known for references that span generations. So what is different in PP? Well first off you need to read the picture above.. This game is not canon. This is a important fact of the game.. They remind you several times.. Lets just keep going..
And this my friend.. Is the plot line of the game. They are forcing you to point them in the right direction to become the best Idol. So pick your girl to start with and go on a adventure of press events, training, dress up and trying to give people in the audience a seizure with JPOP. SOMEBODY SCREAM! I had a really funny joke to put here on Friday when I first started to write this all up.. But now it is Monday and I have forgotten it.. That is how it goes sometimes. Back to the review? So lets go back to the ” After you pick your girl part”… So you pick a girl.. and after a wall of text that you will need to read because this is a game where you have to read in.. I know.. I know what you are thinking.. ” I have to read in this game? Why Can’t I hack and slash and go on quest?”. 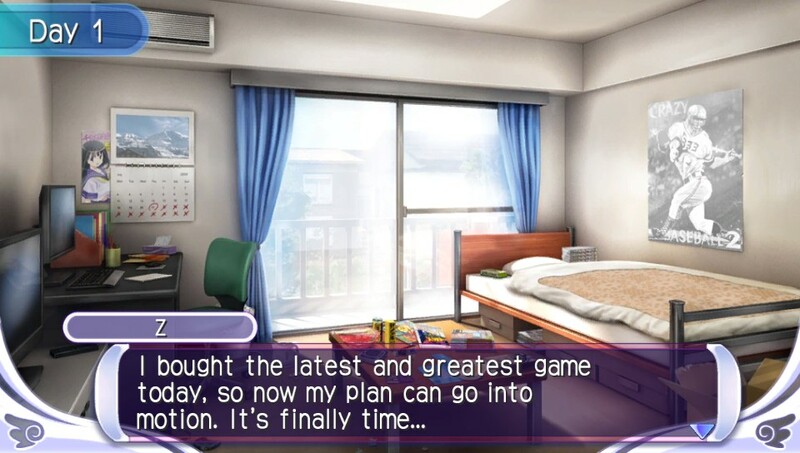 Well my answer to that is.. You are playing a Idol game… Is it simple enough for you? Does everybody understand? Are you all still following me? Once you finally get into your home base menu.. See example above… You have a few things to pick from the start. You can Work.. That is PR for your idol with task that build up her trust and knowledge while at the same time bringing up a fan base. Lesson is obvious.. Improve Vocals, Rhythm, Expresion and Knowledge. Or you can Relax, To reduce stress or build relations with the other girls or the producer. But be warned you can only do one thing a day.. So chose wisely. Also when It says something takes X amount of Days.. That means if you use it.. It will take X amount of days to show back up.. Again everything is only a Day use. And this is your Status screen.. I got this screen shot at a funny time.. No Stats to be seen but it gives you a idea of what you have to work with. Build up the relationship with your idol and you will get a small boost in stats at times. Keep your stress down and you will most likely complete events successfully with a higher point jump. 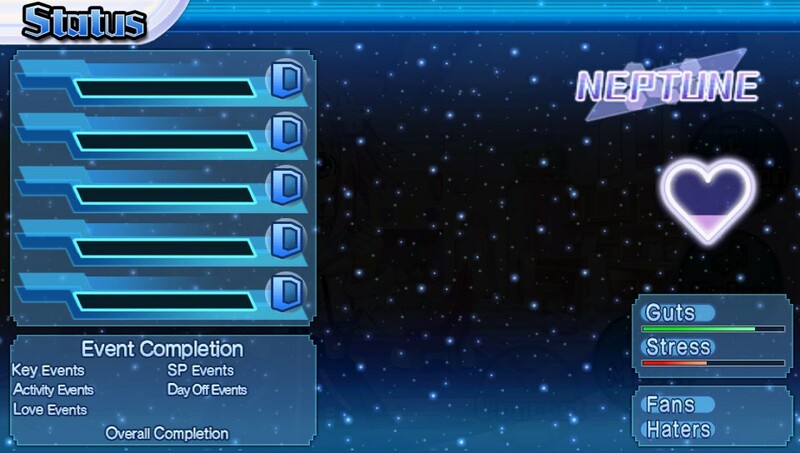 It also tells you a % of Event Completion you have.. This is more for the people who want to get the perfect ending. Once you get in, You control the show. You control the camera! You control the effects! But why do you ask? Well you are the producer.. You see each effect gives a boost to your fans that in-return becomes a score. They all have a % boost and a cool down time.. Build up the meter to max and you can turn into your HDD mode to gain more fans/points. Once it is all over you get a semi grade of how it went down and your off again trying to build improve your stats. You will also see a weekly/monthly report of your song on the charts.. Your goal is to get it to number 1 and then get yourself to number ONE IDOL in the world! And that is pretty much it.. 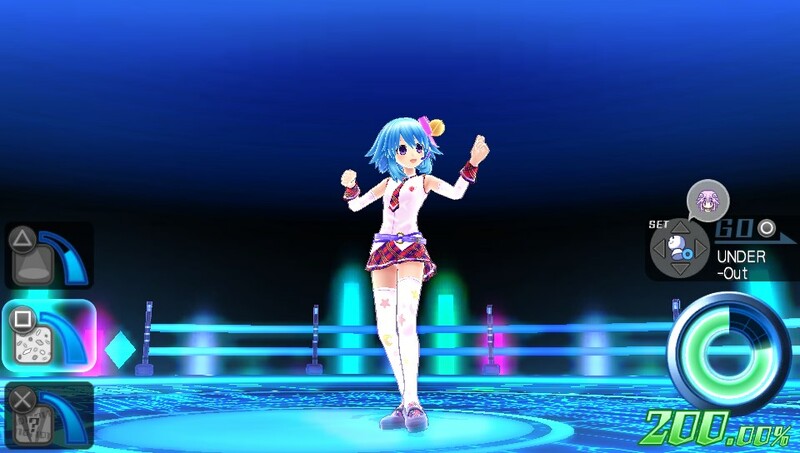 Become the greatest Idol! It is a long path alone.. So what do you do… Become friends with the others and make a group! But only up to three at once… Only a Trio… Once you do this.. Improve your stats.. You will be the number one Idol in no time.. Seriously.. It is that easy… It is Jitterbug Easy.. and once you complete this you can start over again with your stats and do the next girl.. DO THEM ALL! More info about the game that was not in the main part of the game but you should know about because you are reading this right now and you might want to know if you actually go out and get the game.. but if you got the game you would know.. And everybody know somebody that know somebody that know somethin bout it..
From the main menu.. If you just want to direct them in a song you have Unlimited Concert available.. No stress, Just pick a song, layout, effects and watch them sing and dance..
You also have a viewer mode that you can use as a alarm clock or just pick a character and see in 3D..
You can also play this in Japanese voices if your all against the Funny/Great English voice work.. You sicko..
Alright.. This was not my first Rodeo with Neptunia PP.. Come on guys.. You know me.. Why wouldn’t I play this in Japanese when it first came out.. Eh.. You guys.. When I played the Japanese release I was super disappointed. This was mostly my fault but It lacked some things that I thought would be in a Idol game at the time.. I had played others and just expected so much more. The problem was just how basic the game was. You just select a event and go.. No mini game that you can screw up on.. a Limited track selection of 5 songs.. But lets get back to the English release. I enjoyed this so much more. Yes it is the same as the Japanese release but what really shines in the humor. The references that pop up and oddball jokes that come from no where. Now I believe most of these were westernized during translation and was not in the Japanese release. The game has humor and that alone is worth the play to me. But going back to the game play.. I like to call this ” Baby First Idol game”. This is really the first English released Idol game to hit a console in English.. I don’t could IOS/Android.. Like I have said before it is basic and really simple. They easily force you to read several picture guides before you really start into anything. The only part that is a bit weird is the concert but after a play or so you get it down to what you need to do to improve your meter.. That is by using the right effects together with the rhythm and also using the correct song/stages with your Idol. I just wish a little more user interaction would of been included in the training/pr parts. Most idol games throw in rhythm timing games to improve your skill.. In this you might get lucky to be asked a question to answer.. Or run into a scenario that needs to be cleared up by a simple decision. The Final Part of the Review? Disclaimer! The nice people at NISAmerica provided me a review code, Japanese Cart was destroyed during the making of this review. Microwave was also destroyed also during the making of the review.. No animals were harmed… My Finger was jammed though.. but that is for another review..
Posted on June 2, 2014, in REVIEWS! 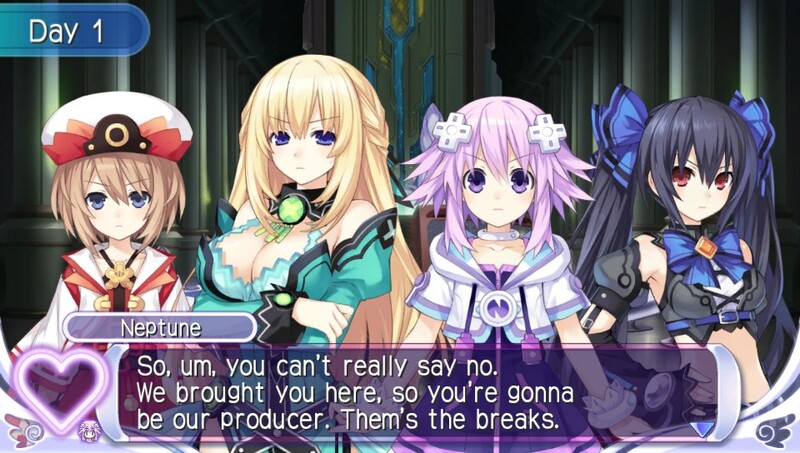 and tagged Idol, Jpop, Neptune, Neptunia, NISAmerica, Vita. Bookmark the permalink. Leave a comment.